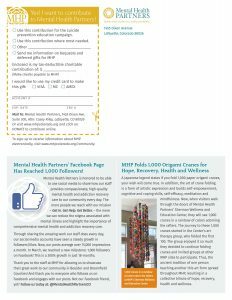 Mental Health Partners forms connections with the Broomfield and Boulder communities every day through providing quality care, spreading awareness about the importance to mental health and addiction recovery services, and collaborating with partners, groups and individuals. 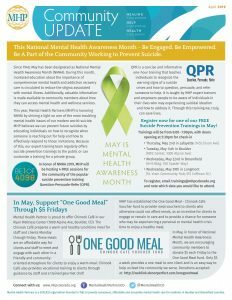 MHP’s Community Update is another way we maintain connection with our community members. 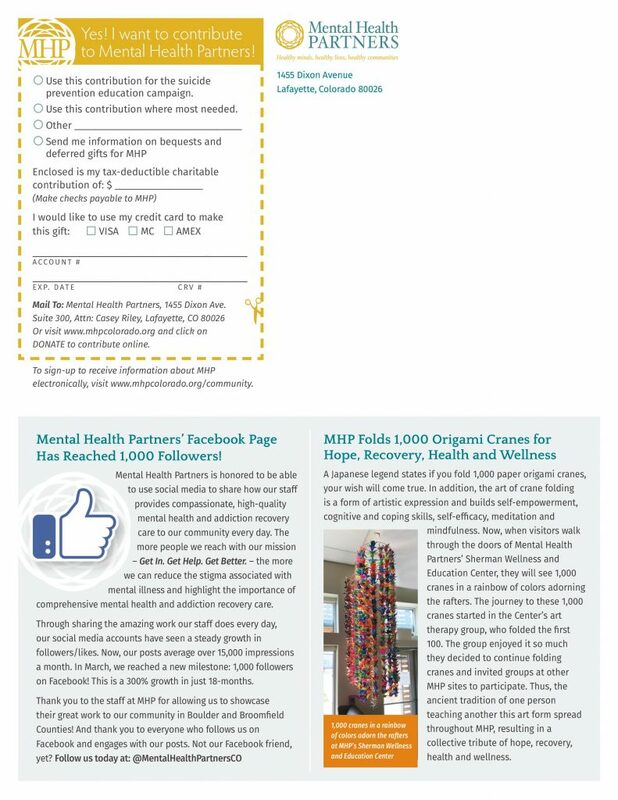 This monthly mailer features information about MHP’s latest happenings, upcoming events, noteworthy news and more. The latest issue is posted below or, to receive our Community Update in your inbox each month, complete the form at the end of this page to join our mailing list!